A man has become the 5,000th patient to be treated by Hull eye surgeons in a year after his failing eye sight started affecting his golf. Geoffrey Branton, a retired European purchasing director for a major firm, had gone to his optician to have his vision checked when he realised he could no longer hit a golf ball properly. He was referred to Hull University Teaching Hospitals NHS Trust after his optician discovered a cataract had formed in his left eye, affecting his vision. Now, Mr Branton has become the 5,000th patient to undergo surgery to remove the cataract at Hull Eye Hospital. Surgeons also corrected his vision at the same time, meaning he only requires glasses for reading. Cataracts form when the lens inside the eye becomes cloudy. Symptoms can include blurred vision, inability to see colours properly, halos around light and problems with night vision. While most patients are in their 70s and 80s, staff working for the trust’s ophthalmology service see patients in their 40s all the way to those aged 100 and over. Children can also be born with congenital cataracts so attend the hospital to have them removed. Ophthalmic nurse practitioner Carole Elliott-Croft said age is no barrier to the removal of cataracts. The trust offers one-stop cataract clinics so patients can be assessed, tested and see the consultant in a single appointment. The streamlined appointment, lasting around two hours, ensures patients only have to travel to hospital once for pre-assessment checks before surgery. If the consultant decides the patient requires surgery, staff aim to book the operation for two to four weeks after the initial appointment. During the operation, the surgeon will make an incision above the coloured part of the eye to go through the pupil so the ‘cloudy’ lens can be replaced by a clear, plastic lens. Surgeons can also correct short-sightedness or conditions such as astigmatism, where the eye is shaped more like a rugby ball than a football, at the same time, giving people better vision. Mr Branton, who lives in Swanland, East Yorkshire, said he was offered an appointment within three weeks of the referral from his optician and was impressed by the one-stop shop service. He said: “I was seen so quickly from receiving my diagnosis to getting the appointment and then when I arrived at the hospital, it just flowed so well. 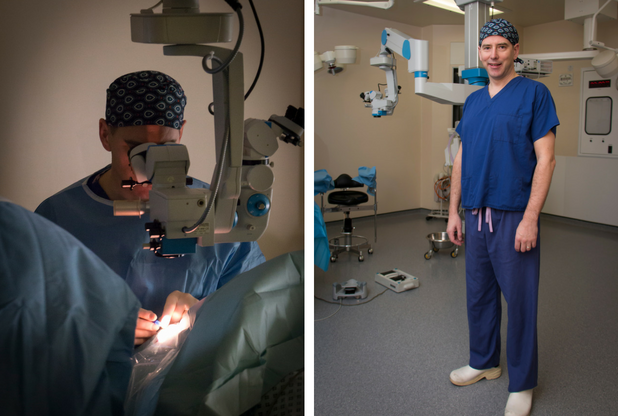 Mr Branton underwent surgery on December 20 and noticed the difference almost immediately. “I didn’t feel a thing with the operation and the difference is tremendous,” he said. “There’s a real clarity to my vision now and I don’t need glasses for distance. 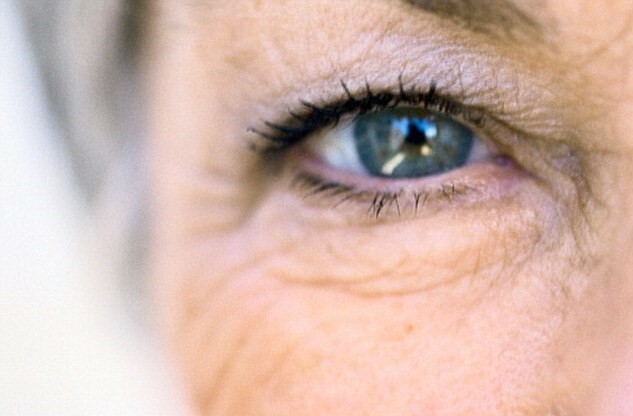 Consultant ophthalmic surgeon Colin Vize, medical director for the trust’s family and women’s health group, said: “Everyone, if they live long enough, will develop cataracts because it’s an inevitable part of the ageing process. “It is always the aim of our highly skilled and dedicated team to help as many people as possible and we achieved that in 2017 by giving 5,000 patients much better vision.